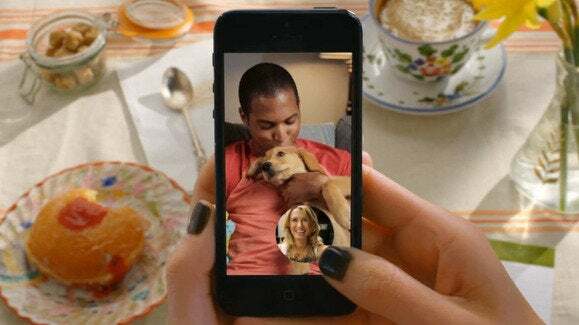 Watch out, WhatsApp (and its new owner Facebook): Photo messaging app Snapchat is now offering video calls and instant messaging. The new features, collectively called Chat, let users swipe the name of one of their friends in their Snapchat contact list to start a text conversation. Instant messages can be saved individually by tapping on them while users can also take a screenshot of conversations to save them, Snapchat said in a blog post on Thursday. Messages that are not saved will be cleared after users read them. Until now, Snapchat mainly let users share pictures, which disappear after they’re viewed. “But until today, we felt that Snapchat was missing an important part of conversation: presence. There’s nothing like knowing you have the full attention of your friend while you’re chatting,” Snapchat said. Snapchat did not report how many people use its service but last October said that “about 350 million Snaps” are sent every day. Snapchat is not the first photo messaging app to introduce video and messaging. Instagram, for instance, introduced Instagram Direct about four months ago, allowing its users to share photos and videos privately or with a select group of people. Twitter’s video-sharing app Vine also introduceda private messaging system recently. The features Snapchat added are commonly offered by its competitors and are probably the most requested by its users, said Paolo Pescatore, a mobile services analyst with CCS Insight. In order for Snapchat to compete "these are the must-have features in order to retain users, but also to acquire new people," Pescatore said. Retaining users and attracting new ones is always a problem for messaging apps, particularly ones that have a young demographic like Snapchat, Pescatore said. Young people always jump on the latest and greatest service and it is important for companies like Snapchat to evolve, he said. "What Snapchat and other providers need to do is to increase the airtime that people spend with their own services," Pescatore said, adding that this can be done by building beyond the core product. By increasing the amount of time people spend with a service, companies also might have an easier time monetizing their products through, for instance, advertising, he said. Monetizing a free service remains a challenge, he added. Updated at 8:16 a.m. PT with analyst comment.